Today we're thrilled to share the cover of MarcyKate Connolly's upcoming middle grade novel, COMET RISING, with you! And -- to make this even more exciting -- she's offering two signed ARCs of the book. Read through to enter the giveaway. Without further ado, let's hear what MarcyKate has to say . . .
I’m so thrilled that today I get to share the cover for COMET RISING with the world – thank you so much to Kidliterati for hosting it! This is the conclusion to the duology that began with SHADOW WEAVER, so it’s a little sad to say goodbye to characters I love and have spent the last couple of years writing. There’s always a little piece of me in my characters, and Emmeline and her shadow Dar were partially inspired by my own imaginary friend when I was very young (mine was nowhere near as devious as Dar, fortunately). In essence, this series is about a lonely girl who just wants to find where she belongs. And in the second book, she’ll do anything she can to keep that new family together. I adore these characters and sometimes I just want to give them all a big hug! There’s always a strange mix of anticipation and dread that comes when I know a new cover will be landing in my inbox soon. I’ve been extremely fortunate to have had some amazing ones and COMET RISING’s is no exception! There is so much I love about this cover: The colors! That comet! The addition of Lucas, Emmeline’s best friend! The “I” in Rising, floating up above the other letters! Art director Nicole Hower and artist Zdenko Basic did a fabulous job crafting a sequel cover that’s a perfect match to the first book, and a lovely package in which to send Emmeline and her friends out into the world on January 1, 2019. And here's the gorgeous cover . . .
Emmeline and Lucas are safe from Lady Aisling and her soldiers for the time being. The only thing that mars their peaceful life is Emmeline's former shadow, Dar. Still shut in her cage, she constantly tries to manipulate Emmeline to set her free. Then one night the Cerelia Comet, the reason for their magical abilities, returns... Twelve years too early. The return of the comet can only mean one thing, Lady Aisling has a sky shaker under her control and is hoping for a new batch of talented children to add to her collection. Emmeline and Lucas journey to find other talented children who can help in the fight against Lady Aisling. But when Dar escapes, and the two friends realize many of the children they seek have already been taken, it's clear the sky shaker might be the least of their worries. The thrilling conclusion to MarcyKate Connolly's Shadow Weaver duology follows Emmeline and Lucas as they face the darkness that has shadowed their lives. This sounds SO good! And that cover is stunning. Mark your calendars for January 1st, 2019, when COMET RISING arrives from Sourcebooks Jabberwocky. 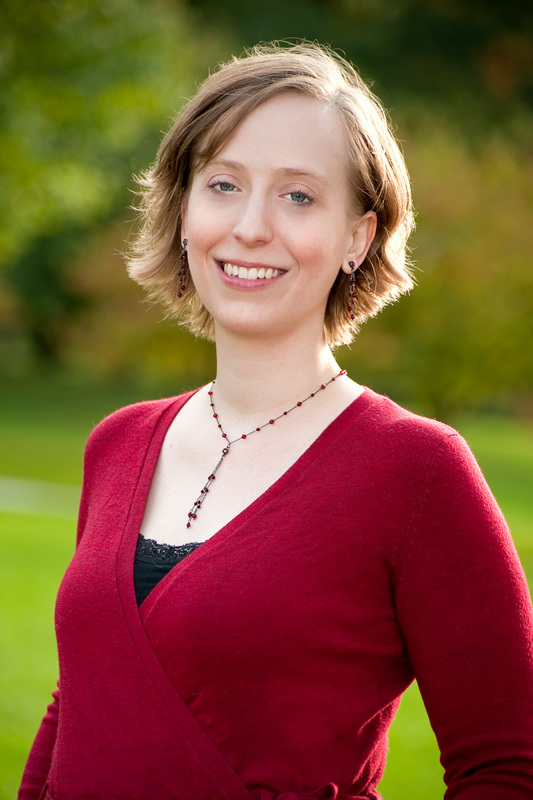 MarcyKate Connolly is a New York Times bestselling children's book author who lives in New England with her family and a grumble of pugs. Like the main character in her Shadow Weaver duology, she once had an imaginary friend who did very naughty things like eating directly from the sugar bowl and playing hide-and-seek with her parents—without telling them—whenever they went to department stores. Later in life, she graduated from Hampshire College (a magical place where they don't give you grades) where she wrote an opera sequel to Hamlet as the equivalent of senior thesis. It was also there that she first fell in love with plotting and has been dreaming up new ways to make life difficult for her characters ever since. You can visit her online and learn more about her stories at www.marcykate.com. And here's the giveaway! It's open internationally. Every one of her novels has a fantastic cover. And the books inside are even better! I cannot wait for the next book! I loved reading Shadow Weaver and I’m sure I’ll enjoy Comet Rising. The cover really is amazing! I'll have to look up the first book, too! I cannot wait for this sequel!!! MarcyKate writes wonderful MG novels and she is fortunate to have wonderful covers for her books! I love it!!! 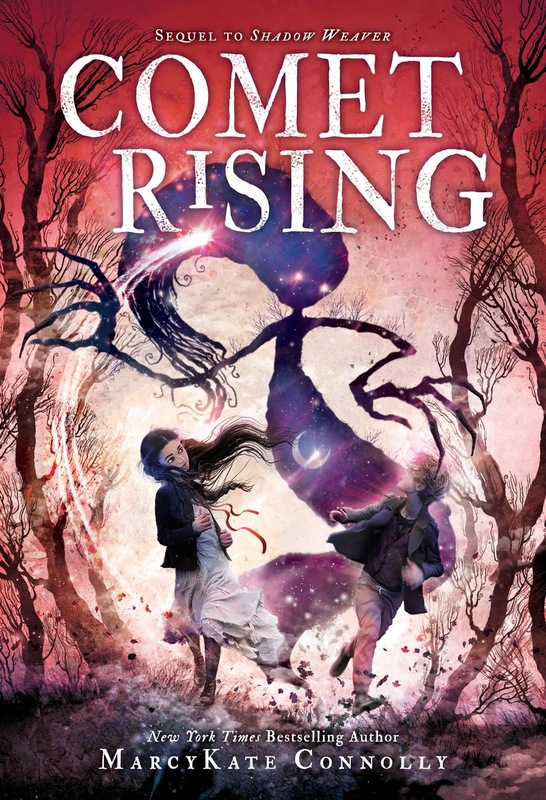 Comet Rising’s cover complements Shadow Weaver’s perfectly! OMG! I'm so excited about this book! Congrats! I love the cover! This book sounds as exciting to read with lots of mystery and action. I am so excited for this new book. I've read her complete works of Monstrous and Ravenous/Precious as well as Shadow Weaver all in 2018 because they were so good! I can't wait for Comet Rising to be released! I love this cover!!!! I loved Shadow Weaver!!! I am really looking forward to reading Comet Rising!!! The cover is so beautiful! I love it! I loved the first book so much and plan to read it to my daughter when she is old enough,so I'm super excited for the sequel!